Industrial meets cottage with this iron crossback chair. A stunning mix of materials, it features a hand woven rattan seat, curved arm rests & a 1 year warranty. 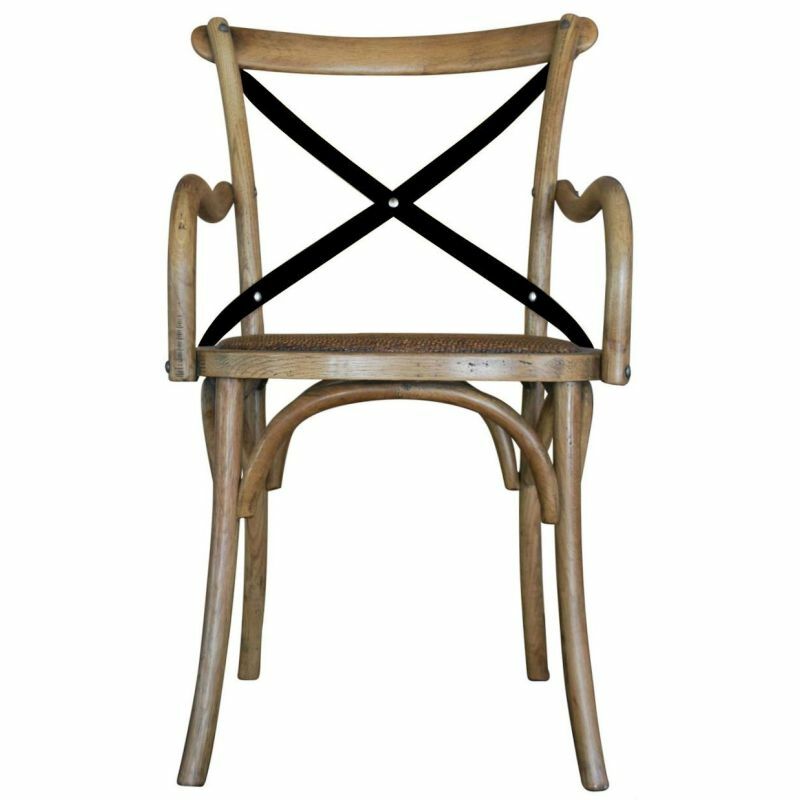 With its classic rustic look and iron crossback this natural coloured piece is designed in a French provincial style. This chair is made with durability to exceed even your highest expectations. It's a lovely addition to any home or business and is made with and inspired attention to detail from its curved back support and rounded arm rests to its hand woven rattan seating.